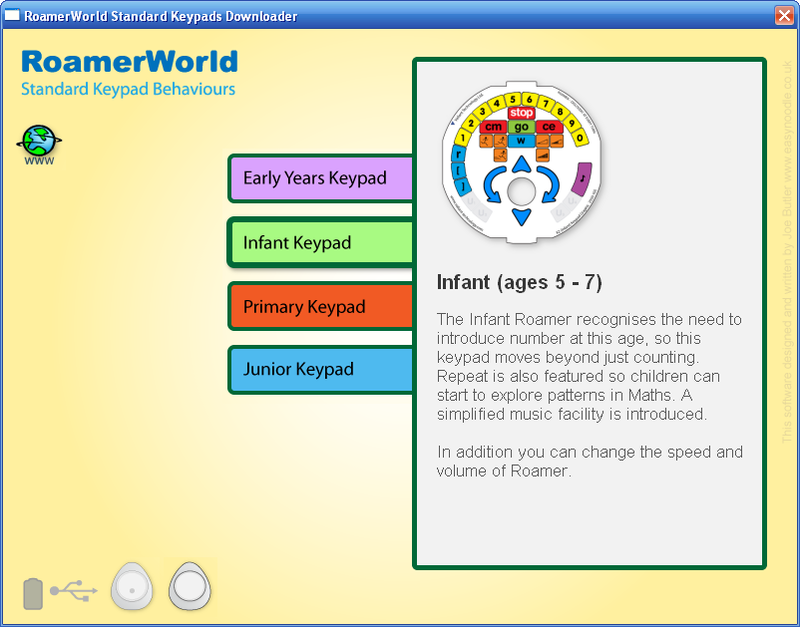 With this program, you can change your Roamer, for example, from an Infant to a Primary Roamer and back again. Simply connect your Roamer to the PC with the Roamer USB Lead (supplied separately), using one of the coloured tabs, select the Keypad you want to change to and then click 'Download'. To use this application you will also need a Roamer USB Lead (also known as an 'Interface Lead'). Compatible with all versions of Windows from XP and above (Windows XP, Windows Vista, Windows 7, Windows 8, Windows 8.1 and Windows 10).